Published on February 04, 2015 by Roy I. Liebman, Esq. Today Counsel Press assisted with the filing and service of multiple Amicus Curiae Briefs in Stephen Kimble v. Marvel Enterprises. This is an appellate case pending in the Supreme Court of the United States, following a decision in the United States Court of Appeals for the Ninth Circuit. Counsel Press serves our attorney clients from within 12 physical locations nationwide, including 6 with state-of-the-art production facilities. 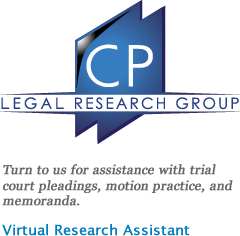 Our services focus on the rule compliant service and filing of all appellate matters, and also include divisions specializing in filing within the Supreme Court of the United States, cutting-edge eBrief technology, on-demand legal research and writing for our attorney clients and real estate development and offering plans. 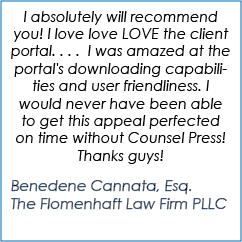 Last year Counsel Press assisted over 7,000 customers, located within all 50 states, with over 8,500 filings in 81 jurisdictions nationwide and internationally.